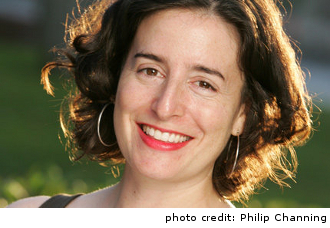 In Aimee Bender’s most recent novel, The Particular Sadness of Lemon Cake, Rose Edelstein discovers at her ninth birthday party that has the ability to understand people’s feelings through the foods they make. In this conversation with Amy Meyerson, Bender discusses the culinary traditions of close-knit families, 19th century French theories of gustation, genre-slipping and why it can be useful to make your characters friendless. It seems that L. Ron Hubbard wasn’t the only writer to create a bizarre and zealous spiritual organization. In the later part of his life, Leo Tolstoy began a radical ascetic pacifist Christian movement. He swapped letters with Gandhi, advocated for anarchist zoologist Peter Kropotkin and extolled the values of Esperanto. Director Michael Hoffman’s The Last Station offers a view on the last days of Tolstoy’s life and the dispute over the ownership of the literary estate between his wife and his followers. While the film maintains a tight focus on its pair of lovers, Amy Meyerson offers insight into the historical events that loom just outside the frame. Starring Christopher Plummer, Helen Mirren and Paul Giamatti, the film is based on a novel by literary critic Jay Parini, who having contemplated the influence of an author after their eventual departure in his writing, has perhaps appropriately been appointed literary executor to Gore Vidal. The adverb ‘complexly’ crops up repeatedly in the work of David Foster Wallace to describe among other things: 1) the irreverence of a palely freckled marketing focus group facilitator, 2) the patterns of shadow on trees, grass and shrubbery on a still, green day at the height of spring and 3) the series of hook and eye knobs on a blouse which women can undo easily and men cannot. It’s a fitting word to recurr in his work, often indicating a point at which his impressive descriptive powers had reached their limit, and emblematic of an aesthetic not easily translated to the screen. 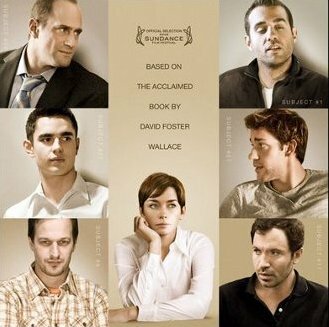 Amy Meyerson looks at the difficulties of adaption through John Krasinski’s recent film of Brief Interviews with Hideous Men.